And our Design Studio developers deploy and live by those lines. The large number of front end technologies used in these yester years with cross-industry expertise has polished our technologists to create the best solution with trusted quality at a short span of time. 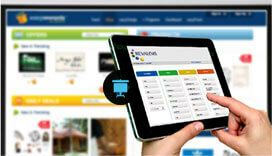 Acquired competitive edge in HTML5 & CSS3 over the years developing interactive, end-to-end web based solutions. Best-in-class Design Studio team with a blended interest of technology and art to design your front-end with any templates or graphics as you need. A diverse expertise team which can deliver niche web applications with user friendliness, light weight and responsive screens using templates like bootstrap. Follow a unique analytic approach by framing strategic insights based on your customer interactions and needs to elevate business marketing.